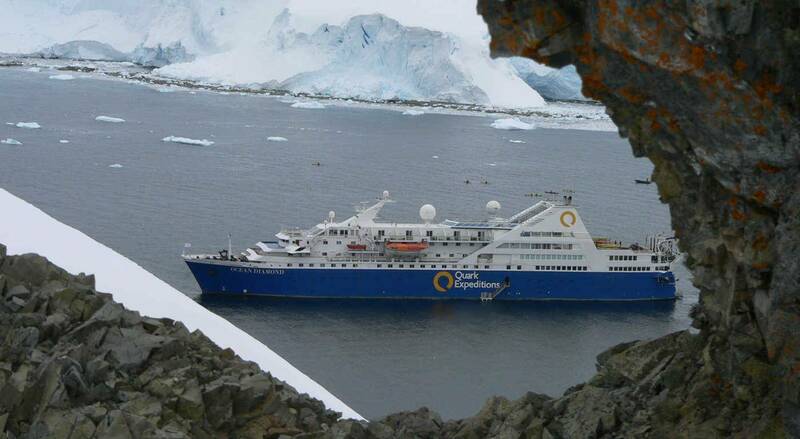 One of the newest, fastest, and most eco-friendly ships in Antarctica, it is also one of the most comfortable. 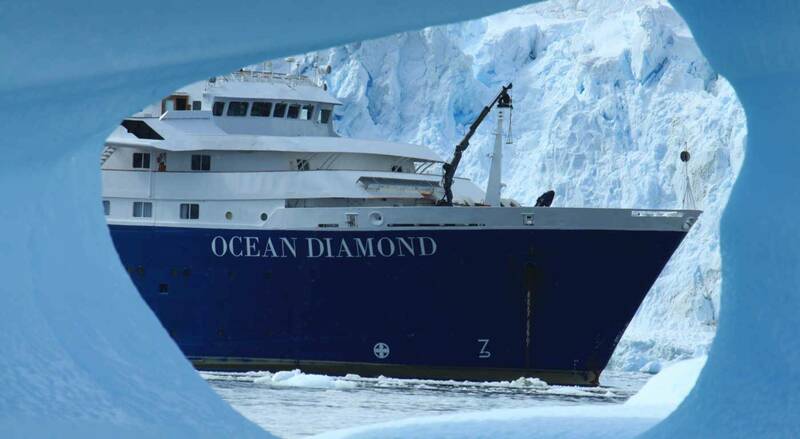 The Ocean Diamond is a modern, stable super-yacht, and one of the largest of our small expedition ships. Carrying a maximum of 189 passengers, and with two stabilizers and an ice-strengthened hull, this outstanding vessel is ideal for polar expeditions. 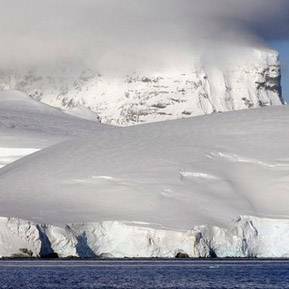 As one of the newest, fastest, and most eco-friendly ships in Antarctica, it is also one of the most comfortable. 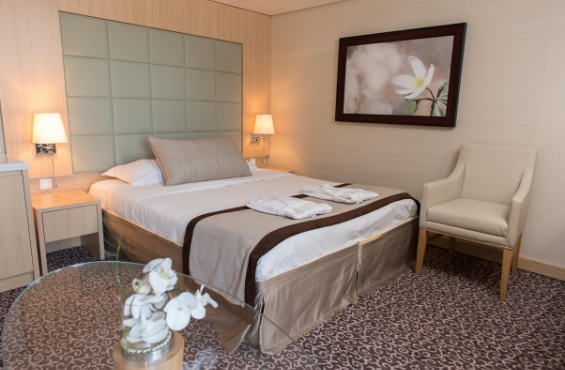 There are 101 elegantly designed cabins and suites, all with exterior views, and expansive common spaces, a club lounge, and a spacious restaurant. The ship offers numerous adventure options, plus on-board features such as interactions with photography instructors. After a full day of exploration, passengers can relax, browse books or DVDs in the well-stocked polar library, or enjoy stunning polar scenery from the sun-lit, panoramic observation lounge. 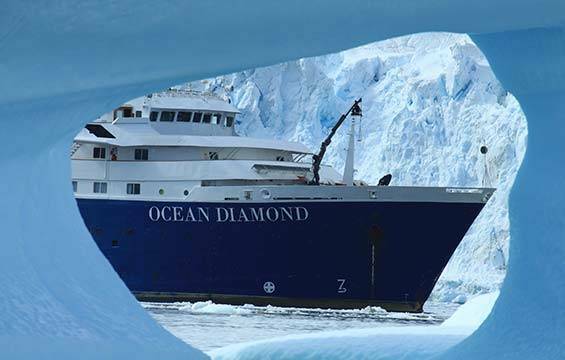 Passengers traveling to one of the world's most remote destinations will also do so in a "greener” fashion; the Ocean Diamond is the first ship in Antarctica, and in polar travel history, to offer certified CarbonNeutral® voyages. 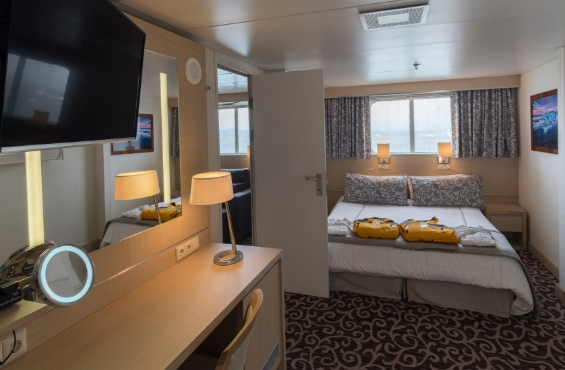 Cabin features 2 twin beds and 1 upper bed, private bathroom with shower and bathtub, TV with DVD-player, wardrobe, safe, refrigerator, individual temperature controls, satellite telephone access, hair dryer, 2 portholes. 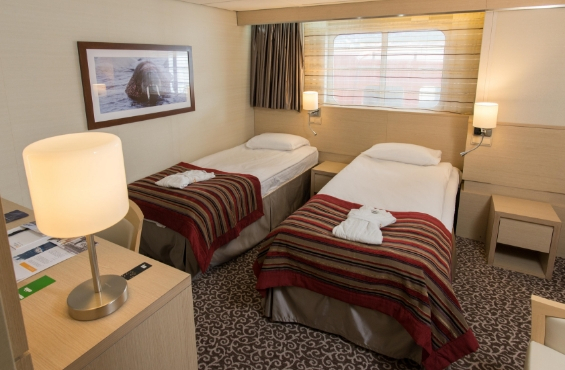 These cabins have one double bed or two twin beds, and a picture window (the view is obstructed). 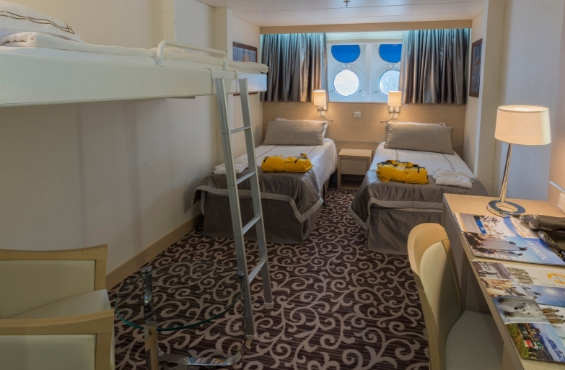 Located on the Captain’s Deck, these cabins have a private bathroom with shower. 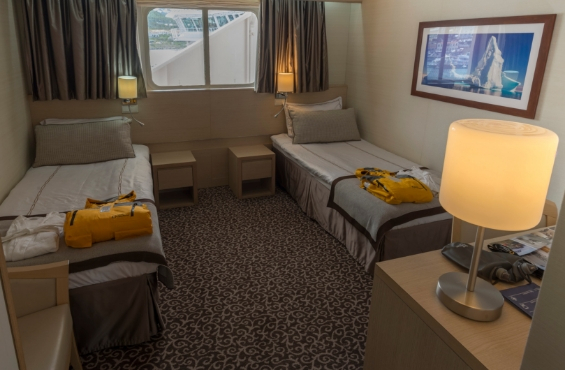 A refrigerator, TV, and DVD player are included in each cabin. Cabin features double bed or 2 twin beds, and a picture window. 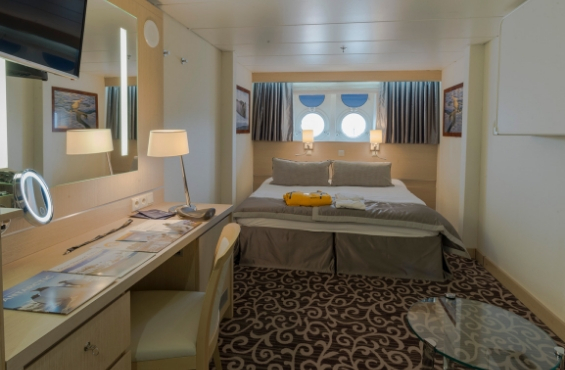 Located on the Upper, Main and Captain’s Decks, these cabins have a private bathroom with shower and bathtub, TV with DVD-player, wardrobe, safe, refrigerator, individual temperature controls, satellite telephone access, hair dryer. 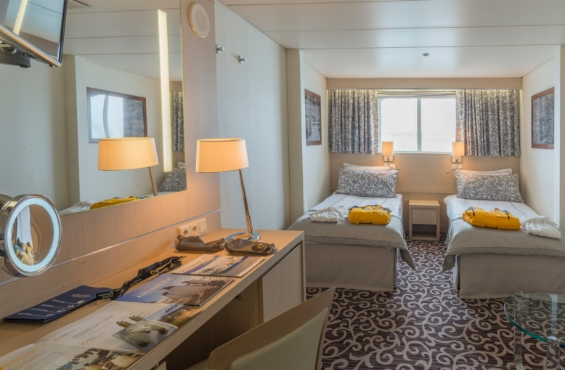 Cabin features double bed, private bathroom with shower, TV with DVD-player, wardrobe, safe, refrigerator, individual temperature controls, satellite telephone access, hair dryer, 2 portholes. Cabin features double bed, private bathroom with shower and bathtub, TV with DVD-player, wardrobe, safe, refrigerator, individual temperature controls, satellite telephone access, hair dryer, picture window (the view is obstructed). Cabin features double bed or 2 twin beds plus two more beds, 2 private bathrooms with shower or bathtub, sitting area, TV with DVD-player, wardrobe, safe, refrigerator, individual temperature controls, satellite telephone access, hair dryer, picture window. Cabin features double bed or 2 twin beds, private bathroom with shower and bathtub, sitting area, TV with DVD-player, wardrobe, safe, refrigerator, individual temperature controls, satellite telephone access, hair dryer, full-size window with a sliding glass door, balcony. - Leadership throughout the voyage by our experienced expedition leaders, including shore landings and other activities.  - All zodiac transfers and cruising as per the daily program. - All shore landings as per the daily program. - All meals, snacks, soft drinks and juices on board throughout your voyage. - Beer and wine during dinner; and coffee, tea and cocoa available around the clock. 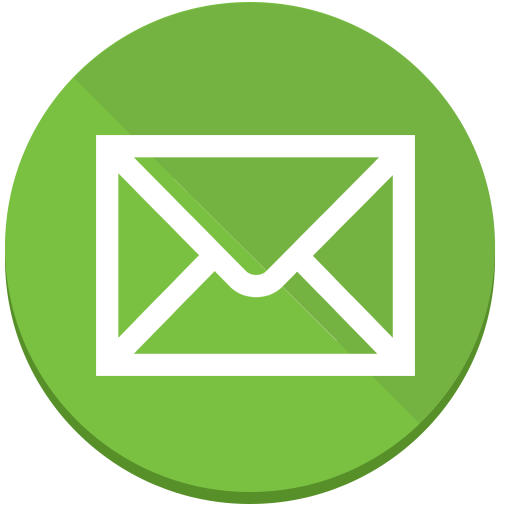 - Formal and informal presentations by our expedtion team and guest speakers as scheduled. 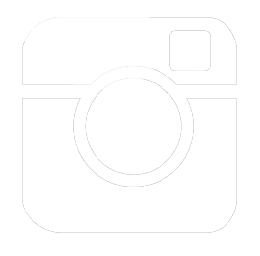 - A photographic journal documenting the expedition. - A pair of waterproof expedition boots on loan for landings and Zodiac cruising excursions. 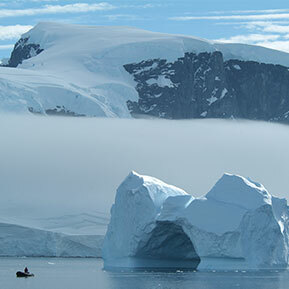 - Comprehensive onboard materials, including a map and a informative Antarctic Reader. 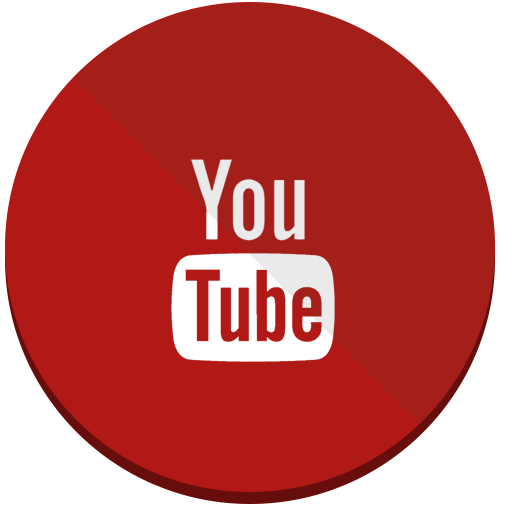 - All miscellaneous service taxes and port charges. - All luggage handling aboard the ship. - Emergency Evacuation insurance for all passengers to a maximum benefit of USD $500,000 per person. - Group arrival transfer in Ushuaia from airport to pre-expedition hotel on day 1. 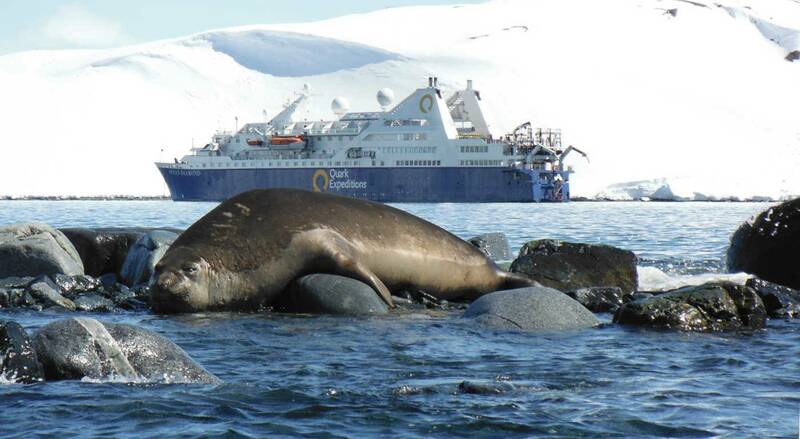 - Group transfer from hotel to ship on embarkation day. - Group departure transfer upon disembarkation in Ushuaia from ship to local airport or to luggage storage facility. - One night's pre-expedition hotel accommodation in Ushuaia with breakfast. - Baggage, cancellation, interruption and medical travel insurance. 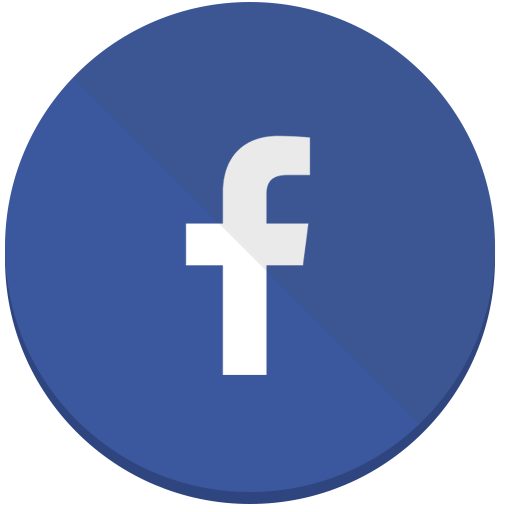 - Mandatory waterproof pants for Zodiac landing and cruising excursions, or any other gear not mentioned. 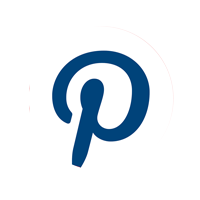 - Extra expenses (communication, laundry, souvenirs, etc.). - Arrival and departure transfers, except where explicity stated. Be prepared to be dazzled. 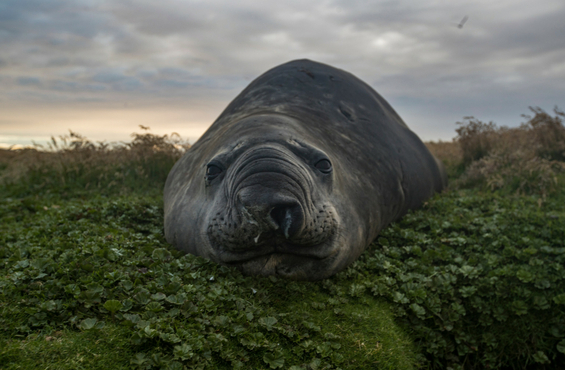 The abundance of wildlife here is truly extraordinary including five seal species, massive penguin rookeries of Gentoo, Adélies and Chinstraps. 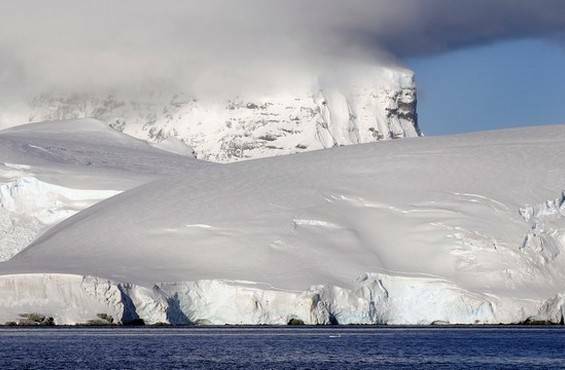 Travelling south at the west side of the Antarctic Peninsula. 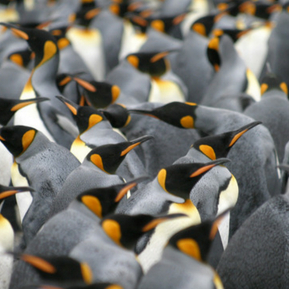 Explore the Falkland Islands, South Georgia and the Antarctic Peninsula. A dream come true for wildlife enthusiasts. 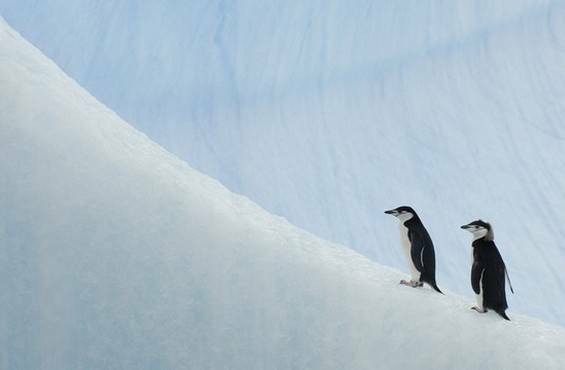 During this voyage you will be able to see up to six penguin species.